Hello, team, the purpose of this newsletter is to provide you with information about 24/7 Learning Academy's programs, campaigns, and accomplishments from the previous month. Our primary objective is to eradicate education inequality by creating access to the highest quality educators and instruction to as many students as possible through innovative classroom infrastructure, program development, pedagogy, and technology. Some people may be thinking “that is impossible, the problem is too big for this small organization to tackle,” and I say why not. Technology has made it so that people from across the globe can easily communicate, collaborate, and share information with a touch of a button. Why is it so hard for us to utilize the same technology that successful large corporations use in their organizations to transform education so that all students can have access to high-quality educators and instruction? Why doesn’t everyone see this as an opportunity or is the paradigm shift so significant? How can we get the best educators and curriculum in front of the most students? What are the most effective ways students learn? How can we continually assess the quality of learning? By asking these questions, we know we have to design a classroom that is not limited by walls or location. We have to focus on access, pedagogy, content delivery, and how we can assess learning without external impediments. Layout and Design: Our small but innovative school will feature two Gardens and multiple instructional areas to serve student's academic, entrepreneurial, and leadership development needs. Developing hybrid classrooms where onsite and remote educators can teach simultaneously, and onsite and remote students can learn simultaneously. Our Classrooms are designed to be used with multiple types of educational programs and age groups (high school, after school programs, adult learning programs, and camps), and are easily scalable. Our programming and pedagogy are designed to prepare students for change, trouble shooting, and to participate in opportunities that have not been created yet. Check out Zachery learning about Growth Mindset in his 24/7 Learning Academy's on site high school orientation. 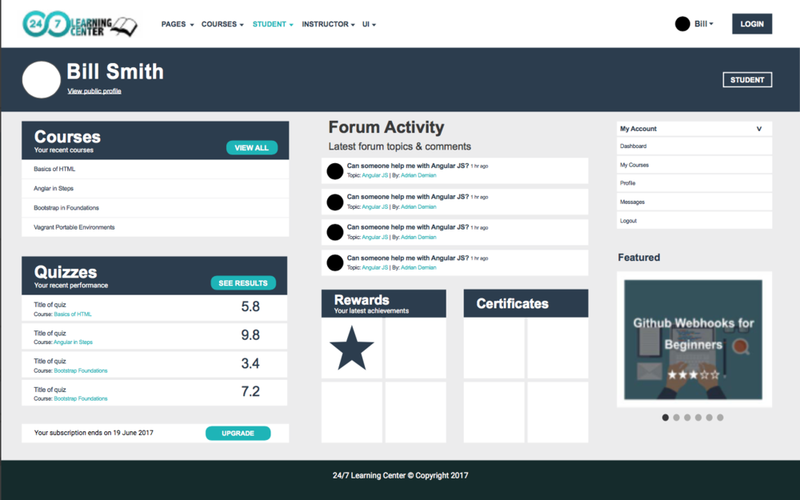 Our software development team is developing an Immersive Learning Platform that will provide an engaging and effective online learning experience for students in and outside our classrooms. Focuses on connecting the right educators and modes of instruction with the right students, because we believe in matching specific teacher instructional styles with specific student learning styles. Our crowdfunding campaign to build the Classroom of the Future ended July 31st, and raised $2565. Thank you to everyone that donated and shared our links. A special thanks goes to Kea Paddy who led the fundraising campaign. Her persistence allowed us to create a functional hybrid classroom that can reach well beyond the walls of our physical classroom.